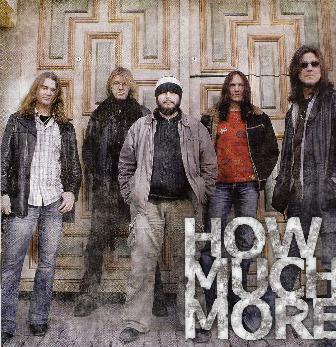 How Much More - "How Much More"
How much More are a Finnish band from the far north city of Kemi. What else is there to do up there but to learn how to play rock and roll?? This is the bands fourth release and by looking at the pictures these guys are not youngsters. This is a five piece band that plays music very much like the Black Crowes. While the band does not bring anything new to the table here, they do play some pretty good rock and roll tracks and are very good musicians. For more information you can visit the How Much More web site at: http://www.howmuchmore.com. Visit the MFU Records web site at: http://www.mfurecords.net.